Over the next week or so I'll be previewing a few of the things I'm most looking forward to at London Design Festival. One event I'm really excited about is the RED exhibition which opens at The Conran Shop 's new exhibition space The Blue Room on 14 September. The event marks a significant moment for The Conran Shop's flagship Chelsea store, as it celebrates 25 years at The Michelin Building. The exhibition will feature works by over 50 world renowned designers, including Jasper Morrison, Thomas Heatherwick, Manolo Blahnik, John Pawson and Ross Lovegrove. Inspired by the iconic British Pillar Box, each piece has been specially commissioned for The Conran Shop or specially produced in a red colour-way. The designs include furniture, lighting, fashion and home accessories, from an exclusive one off pair of Manolo Blahnik boots to a three metre Lobster sculpture by legendary kite maker Petit Pan. All pieces, including the limited edition and bespoke items, will be available for purchase from September 14th. Here's a preview of just a few of them. 1. 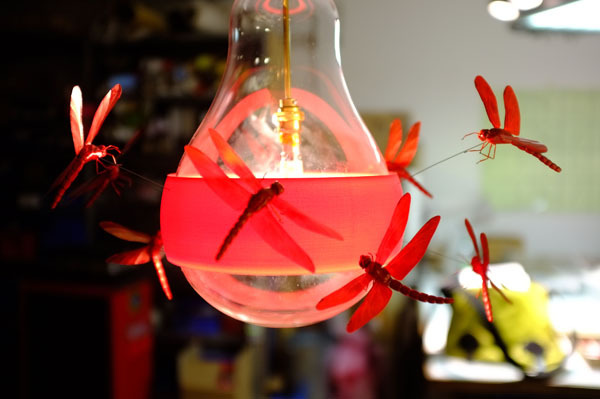 Exclusive Ingo Maurer J.B Dragonfly light, £25,000 (main image). | 2. Benjamin Hubert Tenda Lamp neon red, £980. | 3. Ross Lovegrove Hanger, £595. | 4. Chris Bracey Murano Rose, £8900. | 5. Nendo thin black table in red, £984. | 6. Petit Pan 3m lobster, £9,800. | 7. Manolo Blahnik red Corolla boots, £1100. 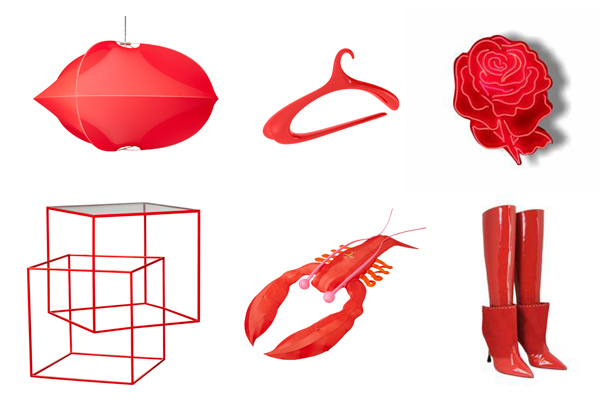 RED is at The Blue Room, The Conran Shop, Michelin House, 81 Fulham Road, London, SW3 6RD from 14-23 September 2012.